Is your browser running slower than usual? Has your window frozen? 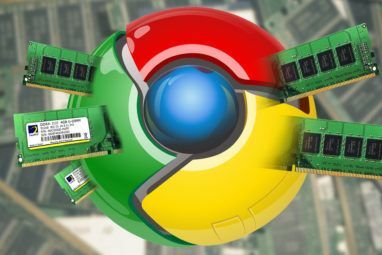 One of the little known factors affecting browser speed 5 Little-Known Factors That Could Affect Your Browser Speed 5 Little-Known Factors That Could Affect Your Browser Speed There are few computer-related issues that are more irritating than a slow browser. If your browsing is being held back, check these five things to get it back up to speed. Read More is those third-party extensions you install. But uninstalling them doesn’t mean getting rid of your favorite app. All you need are bookmarklets. There are some insanely useful websites 30 Insanely Useful Websites You Probably Don't Know About 30 Insanely Useful Websites You Probably Don't Know About There are nearly a billion websites out there. We never will get to see them all. So, here's our look at the top thirty websites that you probably don't know about. Read More out there that let you perform simple tasks efficiently, from converting a YouTube video to sharing a link on different social networks. A bookmarklet is how you activate one of those useful sites, telling it do its magic on the page you are currently looking at. For example, when you are reading this article and want to share it on Facebook, clicking the Facebook bookmarklet would automatically take you to writing a status update with this page already linked. Convenient, eh? Why Are They Better Than Extensions? It’s well documented that bookmarklets make browsers faster and leaner than extensions Stop Installing Browser Add-ons - For a Faster, Leaner Browser Use Bookmarklets Instead Stop Installing Browser Add-ons - For a Faster, Leaner Browser Use Bookmarklets Instead Read More . The big difference is simple to explain. A bookmarklet is activated only when you click it. A browser extension, on the other hand, is always running in the background. Obviously, this means an extension takes more resources than a bookmarklet, which is why they can cause your browser to slow down. Apart from speed, bookmarklets are also safer than extensions. Some extensions are known to be malicious 4 Malicious Browser Extensions That Help Hackers Target Their Victims 4 Malicious Browser Extensions That Help Hackers Target Their Victims You'd be wrong to think all browser extensions are designed to help you. Whether extensions exploit vulnerabilities or send data to hackers, it's time to be vigilant about how you enhance your browser. Read More , and they gain access to more information stored in your browser than what a bookmarklet does. A bookmarklet will only read the data that you send to any web site you visit. An extension can tap into your browser settings too. Finally, a bookmarklet isn’t dependent on the browser, while extensions are made for particular browsers. 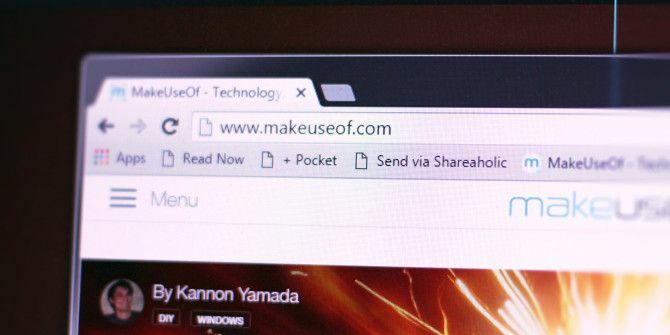 You can use any bookmarklet in any browser, and it works exactly the same way. The bottom line is that it’s better to use a bookmarklet. But before you jump head first into the world of bookmarklets, there’s one more thing you need to do. Bookmarklets are at their best when you add them to the Bookmarks Toolbar, which is one of the best universal browser tips that you aren’t using 6 Universal Browser Tips That You Probably Aren't Using 6 Universal Browser Tips That You Probably Aren't Using No matter which browser you install, there are some universal tips and tricks that you should use. From keyboard shortcuts to ideal security settings, we'll cover it all in this one article. Read More . Much like extensions are always one click away, you need to keep these similarly easy to access too. Once you’ve got your toolbar set up, it’s time to start ditching extensions. All you need to do to install any of these is to click and drag the bookmarklet link to your bookmarks bar. So we dug around to find bookmarklets to replace some of the most popular extensions. One of our favorite apps here at MakeUseOf, Buffer boosts social media scheduling Buffer Takes Social Media Scheduling To The Next Level With Video Buffer Takes Social Media Scheduling To The Next Level With Video If you are a social media junkie, who likes to post ten times a day, then the tool you must have on your computer is Buffer. And Buffer now does video. Read More to the next level. The app doesn’t have an official bookmarklet, but a helpful developer made one that you can use. Shareaholic is the must-have addon for social media addicts, but you don’t necessarily need the add-on. Grab the bookmarklet, and once you click it on any page, you’re ready to share it with the world. Simple and easy. Formerly Read It Later, Pocket is the ultimate digital bookmarking service Pocket - The Ultimate Digital Bookmarking Service Pocket - The Ultimate Digital Bookmarking Service As Bakari previously reported, the well loved Read It Later - which enabled users to save articles to read later from a bookmarklet or various apps it was integrated with - was discontinued and replaced... Read More . And good news, there’s an official bookmarklet instead of the extension. Also, Firefox now has the Pocket extension built in, but you can disable that integration How to Disable Pocket Integration and Other Features in the New Firefox How to Disable Pocket Integration and Other Features in the New Firefox An icon-driven menu, a video chat feature, an apps marketplace - Let's see what some of these new features allow you to do, and how you can disable them if you want to. Read More . LastPass is the ideal password management system LastPass for Firefox: The Ideal Password Management System LastPass for Firefox: The Ideal Password Management System If you've not yet decided to use a password manager for your myriad logins online, it's time you took a look at one of the best options around: LastPass. 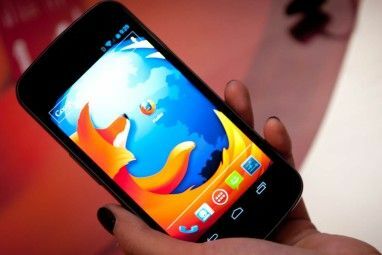 Many people are cautious about using... Read More for the modern browser. If you need to use it without the extension, then get the bookmarklets instead. There are three different bookmarklets: “LastPass Login!” for automatic one-click logins, “LastPass Fill!” to fill your login without clicking the submit button, and “LastPass Fill Forms!” to automatically fill form data. You can find all of them by logging into the LastPass Web app and going to Menu > More Options > Bookmarklets. Web of Trust, or WOT, is a bodyguard while browsing the Internet Browse Safely With Your Own Internet Bodyguard Called WOT Browse Safely With Your Own Internet Bodyguard Called WOT Read More , warning you about untrustworthy sites that are malicious or after your personal data. It’s not always reliable Web Of Discretion: When Not To Trust Web Of Trust Web Of Discretion: When Not To Trust Web Of Trust Web of Trust scores a website based on criteria like trustworthiness, reliability, privacy, and safety. These scores aren't determined by Internet security experts. They're generated by normal people like you and I. Sounds like it... Read More , but it does a good job most of the time. When you want to check a page’s credibility, one click of the bookmarklet will tell you how much to trust it. Bitly shortens URLs, gives stats, and allows custom domains too Bitly.com Shortens URLs & Offers a Wide Variety of Free Tools Bitly.com Shortens URLs & Offers a Wide Variety of Free Tools The process of copying and pasting a URL is almost a no-brainer, but often we come across those long URLs that look absolutely atrocious when pasting them in an email or on in a forum... Read More . It’s the ultimate URL shortening service, and if you’ve been using the Chrome extension, trash it so that you can get the bookmarklet with the same features. Reading an article on the Internet is a distracting process full of ads and pop-ups and other unwanted elements. Readability scrubs everything and gives you a clean reading experience Save Your Eyes & Improve Web Page Legibility With Readability [Firefox] Save Your Eyes & Improve Web Page Legibility With Readability [Firefox] Poor web design can really put a damper on your web browsing. Ever been to a website with a jet black background and neon font colors with flashing banner ads all over the place? Good... Read More . Just click the official bookmarklet and start reading. When you want to quickly look up word definitions with dictionary extensions 5 Handy Dictionary Extensions for Quick Word Lookups 5 Handy Dictionary Extensions for Quick Word Lookups What do you do when you are reading an article and would like more information on a word? There's nothing more convenient than using a browser extension for quick word look-ups. Read More , Dictionary.com tops the charts. Sure, there are others like Urban Dictionary, but the Internet’s oldest lexicon for the English language is what you’ll trust the most. Select a word, click the bookmarklet, and you’ll be taken to the right page. Came across an event or a term that you don’t know about? Wikipedia probably knows Everything You Need To Know About Wikipedia And More Everything You Need To Know About Wikipedia And More Wikipedia is one of the most famous sites on the Internet. It's informative, as well as controversial, and having a page on there is highly sought after. Let's get to know it better. Read More what it is. With this little tool by Marklets.com, all you need to do is highlight the term you want to look up and click the bookmarklet to automatically search for it on Wikipedia. Cool eh? Flipboard is the convenient way to make a custom magazine of your favorite online reads Supercharge Your Online Reading With The New Flipboard Supercharge Your Online Reading With The New Flipboard The third generation of Flipboard comes with a brand new design – and the claim to be called the world’s best personal magazine. Read More . To add anything, you usually need to go to the app or start the extension. Instead, the official Flip It bookmarklet does the same thing while using a fraction of the resources. Among the extensions to superpower Gmail 11 Chrome Extensions That Will Super-Power Your Gmail Experience 11 Chrome Extensions That Will Super-Power Your Gmail Experience Google makes the Chrome browser and Google makes Gmail. Naturally, you have some great Chrome extensions to make your Gmail experience better. Read More , you’ll always find add-ons that quickly share a link through Gmail. That’s exactly what Gmail This! by About.com does. Click the bookmarklet to launch a new Compose window with the link to the page you were looking at. Evernote, one of the best digital notebooking services, has an excellent content saving tool called Web Clipper Evernote's New Web Clipper Is The Ultimate Content Saving Tool Evernote's New Web Clipper Is The Ultimate Content Saving Tool Evernote's Web Clipper isn't new. But if you haven't heard, or perhaps didn't like the Evernote clipper in the past, this is the right time to look into it again. Read More . While the company discontinued its official bookmarklet, the folks at iOS Bookmarklets created one for you. You’ll need to manually add this one since there isn’t a drag-and-drop way to do it. Just follow the instructions on the page. At this point, perhaps it’s time to migrate from Evernote to Microsoft’s OneNote How to Migrate from Evernote to OneNote, and Why You Should How to Migrate from Evernote to OneNote, and Why You Should Do you think that Microsoft OneNote is better than Evernote? Or maybe, it just suits your project management style. Either way, here's how you can migrate all your notes from Evernote to OneNote easily. Read More . Remember, OneNote is now free and has more features OneNote Is Now Truly Free With More Features Than Before OneNote Is Now Truly Free With More Features Than Before Evernote no longer rules the roost of note taking apps. Microsoft recently announced OneNote would be more free than ever before. Let us show you what this means in terms of features and functionality. Read More than ever before. And much like Evernote, there’s a OneNote extension for Chrome Save Your Web Favorites As Notes With OneNote Clipper For Chrome Save Your Web Favorites As Notes With OneNote Clipper For Chrome Microsoft has released OneNote Clipper for Chrome. OneNote Clipper easily allows you to save anything from the Web to OneNote with a click. Save your web favorites easily. Read More , but no bookmarklet. And much like Evernote, iOS Bookmarklets has you covered. Instructions to manually install it are in the link below. Amazon has an official Send to Kindle app Amazon's New "Send To Kindle" App Lets You Easily Send Files From PC To Kindle [News] Amazon's New "Send To Kindle" App Lets You Easily Send Files From PC To Kindle [News] Amazon has just released a new piece of software, aimed at making your PC-Kindle interaction even easier. The new app is called Send to Kindle, and can be downloaded onto any Windows machine from here... Read More and there are plenty of ways to send articles and stuff to your Kindle How To Send eBooks, Documents, And Articles To Your Kindle App Or eReader How To Send eBooks, Documents, And Articles To Your Kindle App Or eReader Kindle makes it easy to buy and read eBooks from Amazon. But what if you want to read your own eBooks, documents, or articles on your Kindle? Amazon's Send-to-Kindle has you covered. Read More . But Tinderizer is the lightest and fastest. Go to the site below, complete the step-by-step instructions to set up Tinderizer, and then generate your unique bookmarklet to send any page you’re on to Kindle automatically. 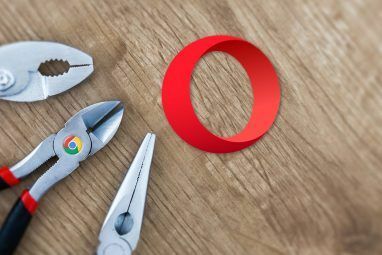 This is the bookmarklet version of one of the best Chrome extensions The Best Chrome Extensions The Best Chrome Extensions A list of only the best extensions for Google Chrome, including suggestions from our readers. Read More , Turn Off The Lights, which darkens all parts of a page except the video being played. It’s great for watching YouTube, and now you don’t even need an extension. Just drag-and-drop it from the official link below. Given the nature of how StumbleUpon works How Does StumbleUpon Work? [Technology Explained] How Does StumbleUpon Work? [Technology Explained] StumbleUpon is one of the most interesting sites on the web. Here's how the stumbling algorithm works and how it chooses which sites to show you. Read More , it’s no surprise that it’s still relevant today and one of the best ways to find what pages people are liking across the Internet. But you don’t need a heavy extension to use it, the bookmarklet does just as fine a job. There’s also an “add to list” bookmarklet if you’re interested in contributing to others’ discoveries. The AutoPager extension has long been a favorite here at MakeUseOf, since it lets you stop clicking the “Next” button at the end of any page and just loads the next page directly. These days, you’re probably going to use it for a longread and not for much else. In that case, get the PageZipper bookmarklet and skip the extension. The page you are viewing isn’t in English? The Google Translate bookmarklet is all you need. Sure, it’s built into Chrome so you don’t need it there, but other browsers require it as an extension and this can save you plenty of resources. No wonder this made it to our list of ingenious bookmarklets to turn you into a Google power user 10 Ingenious Bookmarklets To Make You a Google Power User 10 Ingenious Bookmarklets To Make You a Google Power User If you love all that Google has to offer, but are not particularly fond of the browser extensions available, here are 10 great bookmarklets for Google that range from search options to very specific tasks. Read More . When we compared free YouTube downloaders and converters 5 Free YouTube Downloaders & Converters Compared: Which One Is Right For You? 5 Free YouTube Downloaders & Converters Compared: Which One Is Right For You? Two years ago, I told you about 5 easy ways to download and convert online videos. Recently, we also told you about ways to download YouTube videos to your Mac, and some ways you can... Read More , ClipConverter was our favorite web-based app to do it. The good news is that you don’t need one of its extensions. Just drag-and-drop the official ClipConverter bookmarklet to your bookmarks bar and the next time you need to download a YouTube video, it’ll be done in a click. A big part of using Pinterest effectively How to Use Pinterest Effectively (And Avoid the Ridiculous Nail Art) How to Use Pinterest Effectively (And Avoid the Ridiculous Nail Art) It is actually possible to use Pinterest for useful tasks, though it may not seem so at first glance. Here's how. Read More is to add stuff to your board quickly and easily. Weirdly, Pinterest started off as a bookmarklet and then transitioned to extensions, after which it removed its bookmarklet. But the bookmarklet is really all you need. Try out what iOS Bookmarklets made, by following the manual installation instructions on the page. Get the Bookmarklet: Pin It! Both Facebook and Twitter have official bookmarklets so you don’t need to install any third-party ones, or any third-party add-ons for that matter. You’ll be asked to sign in the first time you use these, but after that, it’s just easy link sharing. Is your bookmarks bar running out of space with too many of these bookmarklets? Bookmarklets Combiner puts multiple bookmarklets into one link. You can choose to run all the bookmarklets together, or get a drop-down menu to choose one out of many—kind of like having a sub-folder. Where do you stand on this extensions vs. bookmarklets debate? Are there any extensions that have must-have features which you can’t ditch for the bookmarklets? Is your browser running smoothly after dumping extensions? Let us know your thoughts in the comments below. Explore more about: Bookmarklets, Browser Extensions. I was very eager to read this, as I have 11 add-ons, all serving important functions...I was thinking "great! I can get rid of some and speed up firefox!" But not a single one of your bookmarklets can replace ANY of them...none can stop advertising and analytics redirects. None can force webpages to be delivered encrypted. None can manage downloads. None can kill Facebook's telemetry. None can enhance YouTube. None can block ads. What a waste of my time even reading(and commenting on) this. All your bookmarklets are just silly social media fluff. Boo. Why is Bookmarklet Combiner a thing when a) we can put bookmarklets in folders and b) Bookmarklet Combiner doesn't seem to actually work? It's working for me, Perry, what problem are you getting? When I follow the directions on the Bookmarklet Combiner Site, what I get is a bunch of link labels that look like it's working, but they don't go anywhere. But when I copy and paste the code of the bookmarklets in the second column, I get blank pages. I'm using Firefox for Mac. A bookmarklet was included for LastPass and it is security related, not in a general way but specifically related to secure logins. Not to start a big argument but out of 22 bookmarklets listed only 2 are security related, with one (WOT) being only a passive rating service. Interesting list. Only one bookmarklet even remotely related to security, WOT. Since the above is a list of most popular bookmarklets, are we to assume that security is not popular with bookmarklet users or that there are no bookmarklets for security extensions such as AdBlock, NoScript, BetterPrivacy, Privacy Badger or Blur? Where does one go to find bookmarklets other than those listed in the article? Honestly fcd, the extensions you noted are better off as extensions since they're about real-time security and protection for any site you visit. Bookmarklets are "on-demand", if that distinction makes sense. Maybe I'm overlooking something simple, but can a bookmarklet be found for any extension? Is it as simple as right-clicking on some secret area of a website and selecting, "Make Bookmarklet"? Or do they have to be specifically created by the dev?